Polaris' first project included a job to position a fish tank in an aquarium hall, which was approximately 12 m from ground level. 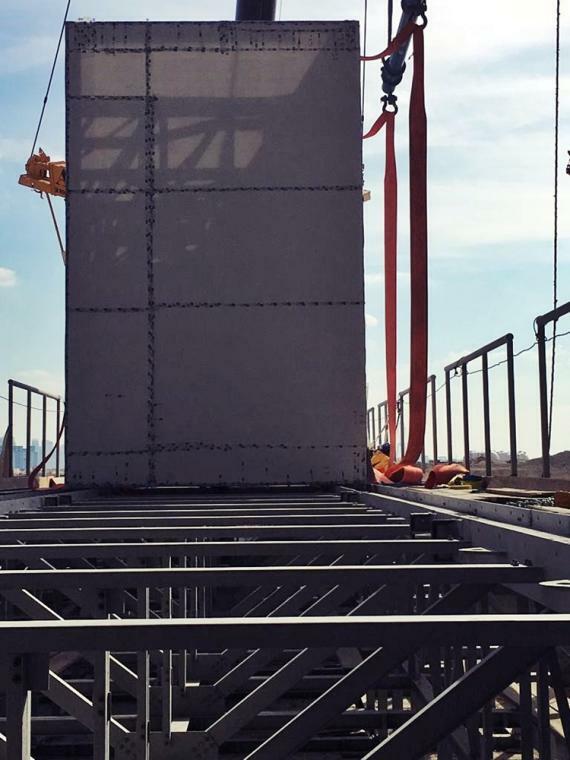 The fish tank weighed approximately 68 MT and featured dimensions of 7.9 x 6.9 x 4.6 m.
The scope of the job included tilting the fish tank prior to its placement at the proposed platform. 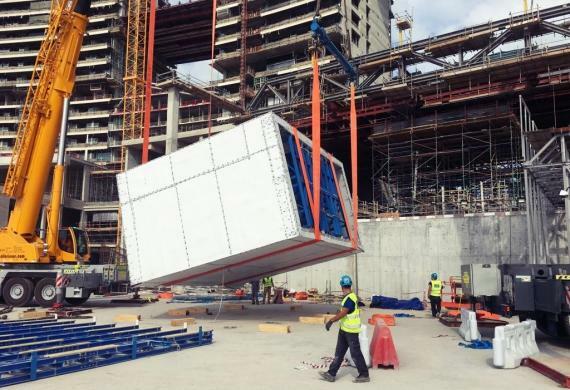 This specific operation was successfully handled via tandem lift, using two mobile cranes (1 x 160 MT & 1 x 400 MT). The transportation job for the tank from Italy to the project site site was also earlier coordinated by the Polaris Project team. Furthermore, Polaris' scope of operations also covered necessary site adjustments, technical evaluations, preparation of needed drawings for the approval of all concerned which was carried to the full satisfaction of all. 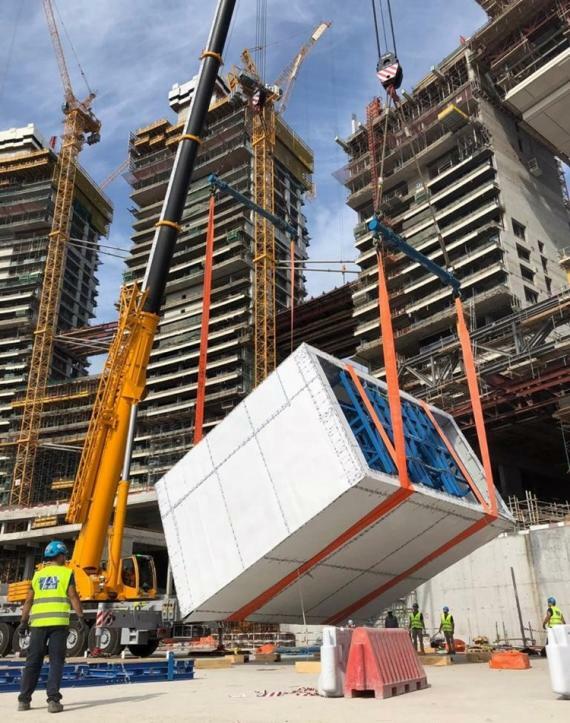 Polaris Shipping also completed the demobilisation of equipment from Al Reem Island, Abu Dhabi to Alexandria, Egypt in December. 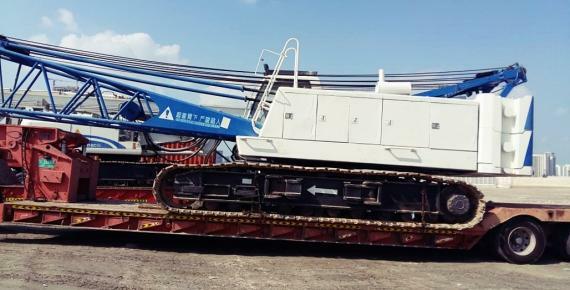 The shipment included Soilmec Rigs, Sany Mobile Cranes and other industrial equipment which were suitably dismantled for the base unit to be shipped as RO-RO with accessories in special purpose containers. Polaris has their professional in-house dismantle all sorts of construction equipment - loading/lashing and securing on special purpose containers or suitable break-bulk/RO-RO vessels as the case may be.